Melanoma is the most serious type of skin cancer. It affects young adults as well as older people. If diagnosed at an early stage, before it has spread, treatment is likely to be curative. The outlook is not so good if it has spread before being treated. You need to consult a doctor if you develop an abnormal patch of skin or a change in appearance of a mole. The skin has two layers – the epidermis and the dermis. Beneath the dermis is a layer of fat, and then the deeper structures such as muscles and tendons. Basal cells. These are the bottom layer of cells in the epidermis. Keratinocytes. These cells are in layers above the basal layer. They produce a wax like material called keratin. Skin cancer is one of the most common cancer in Australia. Basal cell carcinoma (BCC) – which develops from basal cells. Squamous cell carcinoma (SCC) – which develops from keratinocytes. Other – other types of skin cancer, which are rare. Melanoma and SCC can reach blood vessels and lymph and can spread if left untreated. BCC rarely spread through blood vessels and lymph but can involve nerve and travel along local nerve to nearby organs. Fair skin –People with Red or blond hair, green or blue eyes. Those with skin which always burns and never tan. Melanoma is uncommon in dark-skinned people, as they have more protective melatonin in their skin. 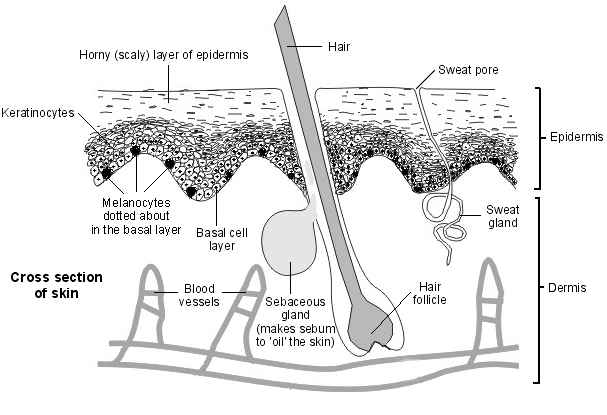 Unlike non-melanoma skin cancers, melanomas can develop on areas of skin not often exposed to the sun (such as bottom of the feet’s and private areas). 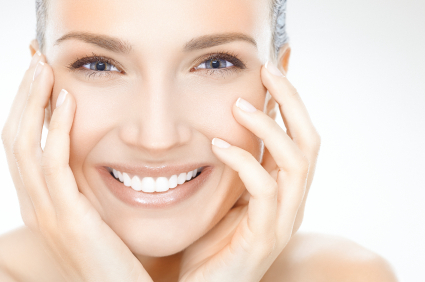 These areas may have had short spells of sun damage such as during a holiday. A melanoma can develop on any area of skin. The most common place for a melanoma to develop in a woman is on the legs; whereas for men it is on the chest or back. Rarely, a melanoma can develop in the iris or back of the eye. If some cells break off and spread to other parts of the body, various other symptoms can develop. A common early symptom of spread is for the nearby lymph glands (nodes) to swell. Shared family lifestyle of frequent sun exposure and/or having fair skin. It may also be due to inherited faulty genes. Around one in ten people with melanoma will have a relative who has also had a melanoma. As a rule, if you have a family history of melanoma you should take extra care to protect your skin from sun damage. Also, check your skin regularly for early signs of melanoma. Having many moles. These are the small brown marks which occur on almost everybody. If you have many (especially 100 or more) you have an increased risk that one will develop into a melanoma. Atypical (non-typical) moles. People with moles which are bigger than usual, with an irregular shape or color (called atypical), have an increased risk. These moles (sometimes called dysplastic naevi) rarely change into melanoma, but it’s important to keep an eye on them. If you have a strong family history of melanoma (father, mother, brother or sister with a melanoma), and you have an atypical mole, you have a high risk of developing melanoma. Make sure you check your skin regularly. 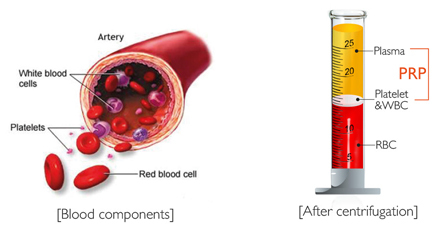 Using sunbeds or similar tanning machines which emit UV light. Damage caused by sunbeds seems to be worse in people with red hair and freckles and also in young people under the age of 20 years. Having a weakened immune system (for example, due to HIV infection, or if you are taking immunosuppressive drugs, perhaps after an organ transplant) then you have an increased chance of getting a melanoma. What skin cancers look like? They can present like a new/changing freckle, a blood blister under toe nail, pink patch like a skin rash, a new or growing lump, a scaly and crusty lesion, a persistent sore or pimple. Some skin cancers are very misleading and you need to keep that in mind to report any persistent or changing skin spots to a health professional. Lumpy Melanoma- They may present with a pink or dark Lump , sometimes they may exactly look like a pimple – you need to keep that in mind any pimples which are not going away in few weeks must be reported specially if they are in sun exposed area in high risk people. Melanoma under nail – They may look like a blood blister under nail. Blood blisters under nail usually grow out of nail and happen after trauma. If you cannot recall when discoloration under nail happened and especially if it does not grow out of your nail you must report it immediately to a health professional. Scar like skin cancer- scar like lesion in sun exposed area – If you cannot remember when this scar happened or scar like tissue is getting bigger that might be a skin cancer and need to be checked by a health professional. What are the symptoms of skin cancers? New lumps or scaly lesion in skin. Skin self-examination and report a suspicious skin spot or any changing or new spot. How skin cancer can be prevented? Staying indoors or in the shade as much as possible between 11 am and 3 pm. Covering up with clothes and a wide-brimmed hat when out in the sunshine. Applying sunscreen with a sun protection factor (SPF) of 15 (SPF 30 for children or people with pale skin) which also has high ultraviolet A (UVA) protection. In particular, children should be protected from the sun. Sunburn or excessive exposure to the sun in childhood is thought to be the biggest risk factor to the developing of skin cancer as an adult. Also, people with a family history of melanoma should take extra care to protect their skin from the sun.